Every teenager’s dream is to get behind the wheel of a car, and every parent’s nightmare is to find out that their son or daughter was involved in a car accident in Miami. These accidents occur every day. If this is the case for you, know that we are here for you as we have been for past clients with similar, devastating situations to deal with on their hands. Despite what you may be going through, understand that our attorneys and staff can help you pursue your claim to recover money for your injuries. 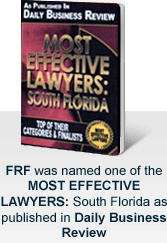 We comprehend what steps to take to best prepare your case for a successful resolution. Whether you were involved in the accident or if it was your loved one involved, know that we will do everything in our power to ensure your case resolves favorably, including pursuing every avenue available to successfully obtain adequate compensation for your losses from as many persons or companies that can be found responsible for your injury. Inadequate scanning of the road for other vehicles or hazards. 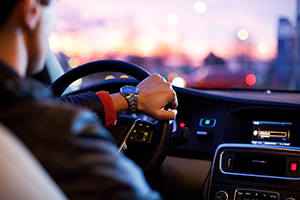 Driving faster than what is recommended for certain driving situations, such as when making a turn. Becoming distracted by something inside or outside of the vehicle. As cell phones demand an ever-growing percentage of our attention, teenage drivers are finding it more difficult to cope with focusing on the road and instead, unfortunately, spending too much time focusing on their phones. As a leading cause of accidents among any age group, it is prudent that our attorneys and staff use their expertise to find evidence of whether the teen involved in your accident was, in fact, using their phone when the collision occurred. You may be injured or your loved one may have passed away at the hands of an irresponsible driver. It is a heartbreaking realization to make and one that will take time to process, which is why we recommend seeking counsel immediately in order to have someone on your side after the accident as you care for your injuries. Let us help you obtain the compensation you and your family deserve for what you have suffered. Our firm has worked with countless families to pursue a claim for their losses, helping them recuperate lost wages, medical bill costs, future expenses, pain and suffering, and much more. We will aggressively pursue your claim against insurance companies, other involved drivers, and any party that played any role in this car accident. We only get paid if you get paid. The attorneys at Friedman, Rodman & Frank have over 100 cumulative years of experience working on cases just like yours, fighting for those involved in teen car accidents in Miami and the surrounding neighborhoods and counties throughout the state of Florida. Whether your accident occurred on an expressway or a local road, you deserve to have a team of professionals on your side investigating every aspect and detail of the unfortunate event. Call us now at 305-448-8585 to schedule your free and confidential consultation, available in English, Spanish, and Creole for your convenience.